2019 marks Glandular Fever Help Services' 21st Anniversary . . .
During those years we have helped hundreds of people to get back on track with their lives after glandular fever, many of whom have been left with on-going fatigue and bouts of recurrent symptoms. Those from all walks of life have come through to Glandular Fever Help Services and not just sporty teens struggling through exam periods. In the last 10 years there has been an increase in enquiries from older adults suffering harsh bouts of glandular fever as well as from sportspeople (amateur to top level pros), all struggling with the fall out from Glandular Fever. There have also been enquiries from an increasing number of individuals suffering full reactivations, which 20 years ago we saw little of. 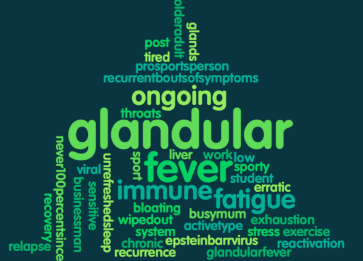 How Glandular Fever Help Services helps? "We continue to try and help as many people as possible from all different backgrounds struggling with the fall-out after glandular fever"
Most individuals coming through to Glandular Fever Help Services are very active high achievers who, prior to glandular fever, had lots of get up and go. The common thread (whether aged 14 or 60) is that all usally have a build up of stress (physical, mental and or emotional) before coming down with glandular fever, often burning the candle at both ends. Invariably we still find most people who come through to Glandular Fever Help Services are very active / sporty types. Many are involved in sport at a recreational level but even more compete at club, county, regional, national and international level. 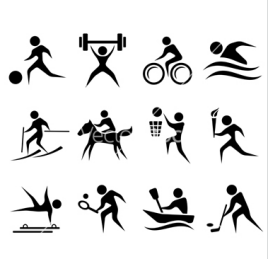 We have helped triathletes, hockey players, rackets players, golfers, swimmers, athletes, cyclists, gymnasts, dancers, kayakers, lacrosse players, rowers, rugby players and many other sportspeople besides. Many sportspeople come through for direction and advice from Glandular Fever Help Services and we have been able to work with individuals, alongside teams of coaches and advisors, to help get them back on track with their health and energies . . . and then back in to their sport again, at pre glandular fever levels. Glandular Fever Help Services managed to support a talented young tennis pro ranked just outside the top 100 players in the world. Struck down with glandular fever, it was a struggle even to get out on court for regular daily hitting sessions without feeling exhausted. After setting up a series of testing procedures, detailed personalised recommendations were put together by Gina to follow, alongside a period of very reduced activity before building up again. Improvements began to be seen and amazingly managed to reach the final stages of a Grand Slam tournament just 11 months later. This tennis pro now ranks in the top 30 in the world and no recurrent bouts have stopped further progression up the ranks as yet! "The fruits of your efforts were manifested ... you made a major contribution to a real success story"
Paul McNamee (Australian tennis legend).